Throughout my studies and daily searchings on the Internet, there are always images I come across that inspire me. When I take a look at these photographs, paintings, etc., I feel as if I am awakened both physically and mentally. These are images that resonate deep inside of me, images that allow my body to stir to attention and action, images that allow my mind to really wonder, think, and observe. They grasp my inner thoughts tirelessly and powerfully. And there stories, details, and emotions are locked into my mind, never being able to leave. By viewing these images, I am given the stimulus to continue thinking of new concepts for stories and new ideas and connections in the fashion world. The images give me that extra enthusiasm to write my words down and to ponder over thoughts that may seem odd or impossible to some. When I take a look at these images, I can’t help but feel something, whether that feeling be joy or sorrow. There is something so wonderfully mysterious about them, so admirably aesthetic. That is why I am going to be doing an inspiration post on my blog once a month, so all of you, my viewers, can take a look at what inspires me. And maybe these images can inspire you in some way, as well. Comic books have the ability to make a person laugh…with edgy humors and jokes. Comic books have the ability to make a person understand…to recognize modern issues in a colorful, thought-provoking light. Comic books have the ability to make a person powerful…to gain confidence by seeing superheroes that soar over cities, protecting innocent persons from negativity and crime. Comic books continue to shape the culture of society with their bold images and significant words. They are filled with moments of meaning and actions of attention. They are filled with realizations of the current world. Comic books are decorated with strips of loud print and thrilling color. There is an unmistakable boldness that is revealed with each flip of the page, an eye-catching, kaleidoscopic infusion of reds, yellows, greens, and blues, an attention-worthy mixture of stripes, polka dots, zig-zags, and stars. Comic books are dotted with exaggerated features and attentive details. They are proud works of substance, attitude, and expression. They are the reactions to the atmosphere and lifestyle of the modern world. Behind the words and dialogue, are deeper messages. Behind the prints and colors, are powerful emotions. 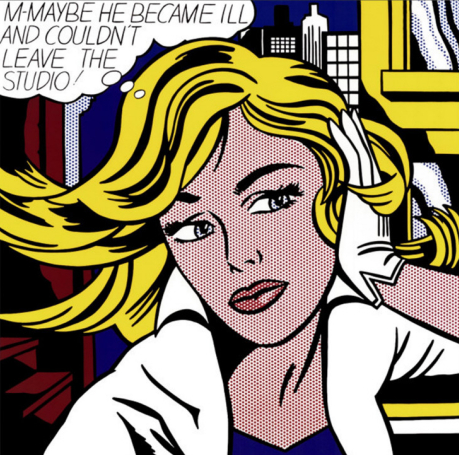 Behind the comics, are inspirations and connections to the sphere of art, to the artist Roy Lichtenstein, and to the Pop art movement of the 1950, as a whole. 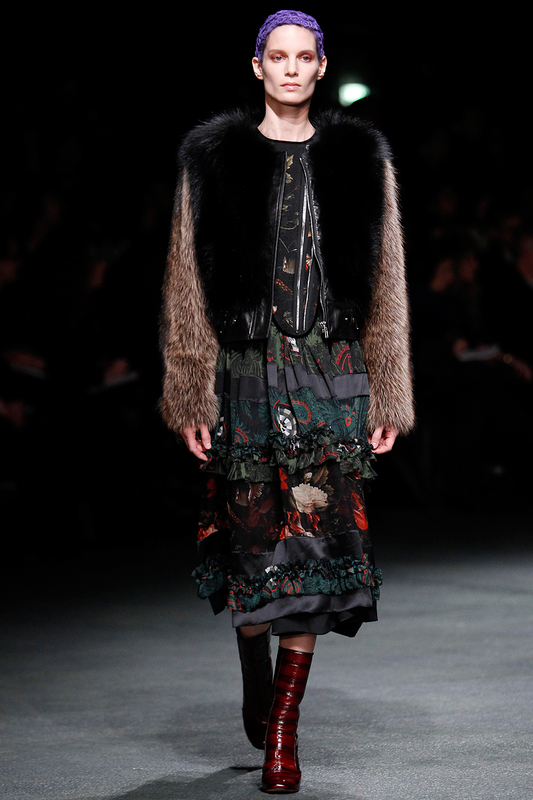 And Miuccia Prada, for Miu Miu, took this relation between comics and arts and created a collection that was full of comic book audaciousness and artistic remembrance. 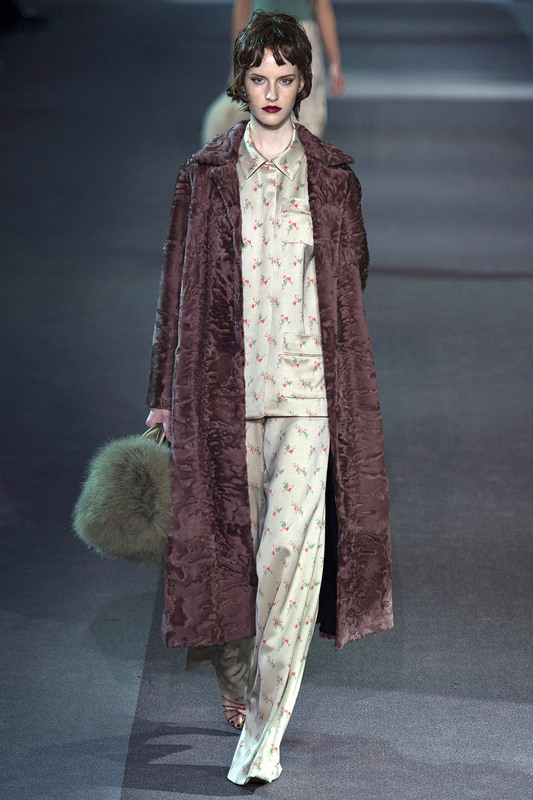 The Miu Miu collection for Fall 2013 is full of fantastic quirkiness and wonderful daringness. 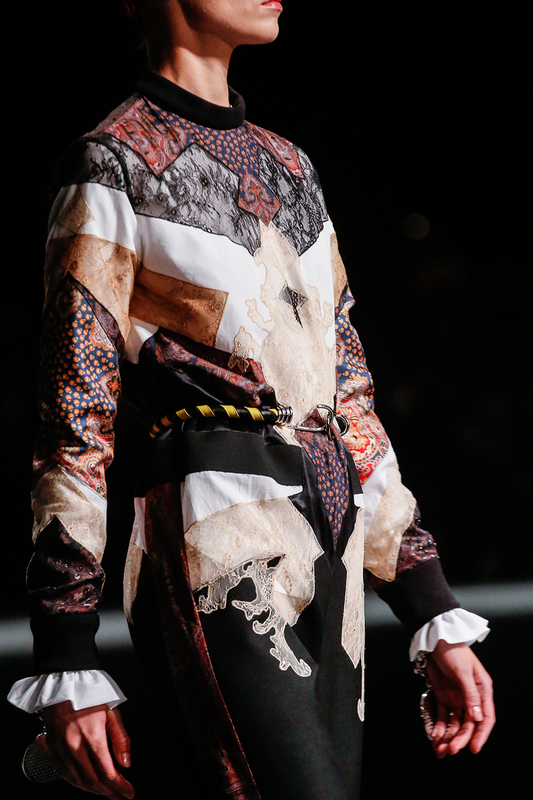 It is a visual masterpiece, with pieces decorating the runway with stripes and dots. It is an avant-garde dazzlement with fresh silhouettes and accentuations. The collection is a comic book in its entirety. The fashions are full of creativity in their zesty flair and zany variation. The collection is a Pop art painting in its cultural flavor. 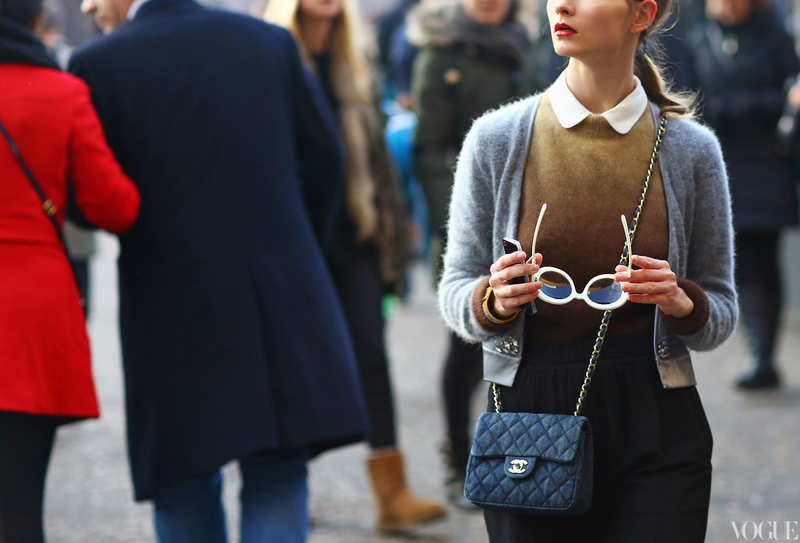 The fashions are not the norm, not what is expected. This collection takes the connected elements of comic books and Pop art mindsets and works and allows them to shine. The woman were dressed as if they were the heroines in the many comic strips of romance and action, as if they were the painted figures who challenged traditional art confinements and beliefs. With chunky, platform Mary Janes and rubbery, zippered booties, the models of Miu Miu walked down the comic, pop runway with determination. 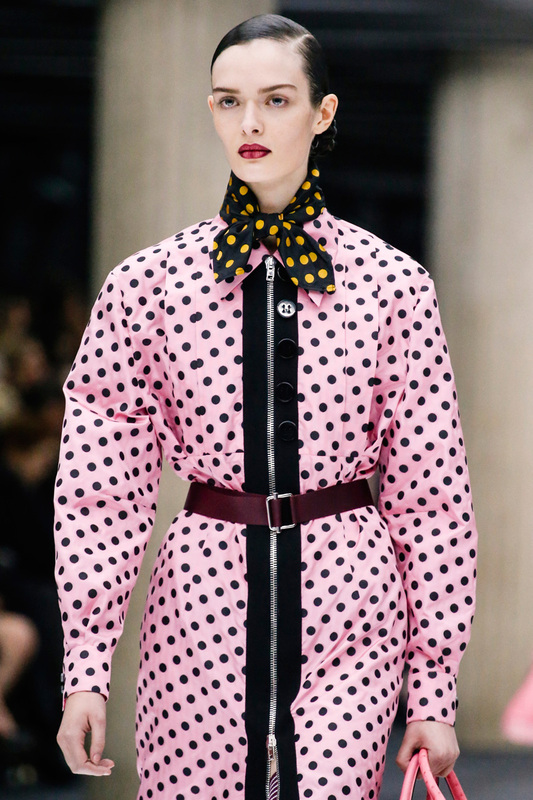 Elongated, conservative Victorian silhouettes were complemented by loud prints of polka dots and stripes, by pronounced colors of pink, yellow, orange, blue, black, and red. 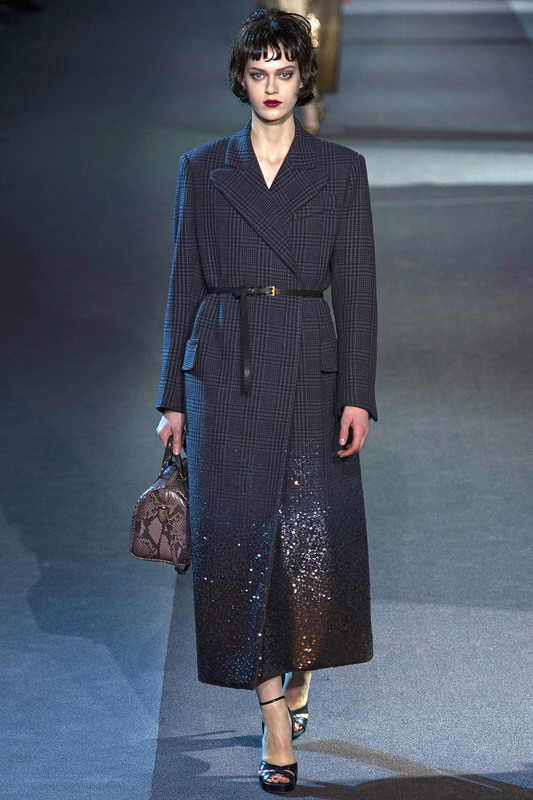 Coats were accented with oversized buttons and long, noteworthy zippers and emphasized with dramatic, cinched in waists. 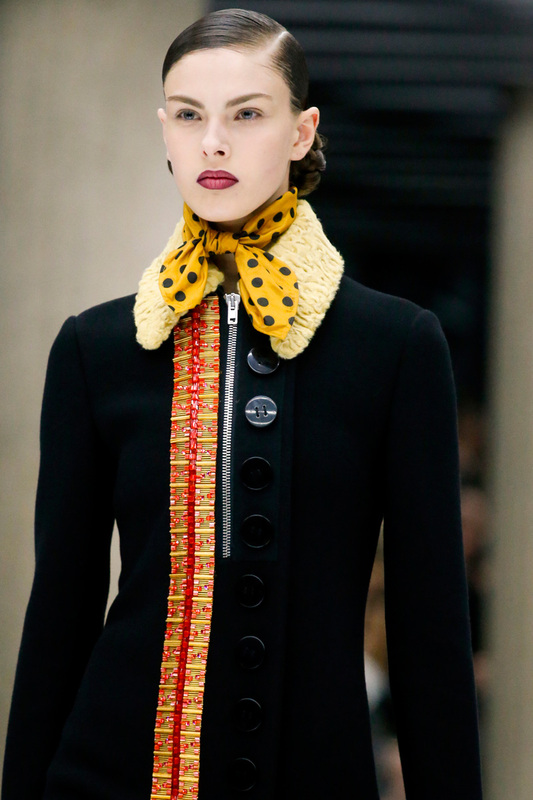 Looks of sportiness and redefined femininity were decorated with high collars and tied, printed scarves. There was a liveliness to the designs, a stylistic joy. 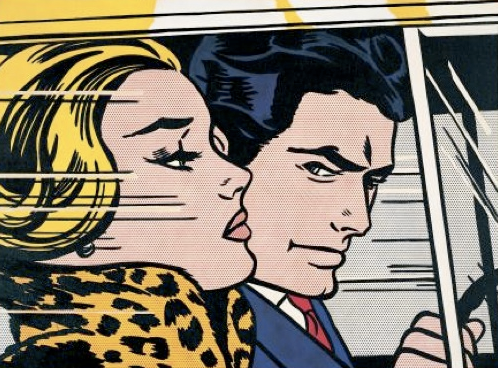 Comic books and the Pop art movement…a pair full of glorious similarities, cultural realizations, and adventurous prints and colors. In fashion, there is an astounding beauty to individuality. There is an unmistakable power to designs that house uniqueness, that house features of difference…features that have never been seen or emphasized before. Originality has an ability to give fashions a real identity, a true distinction. 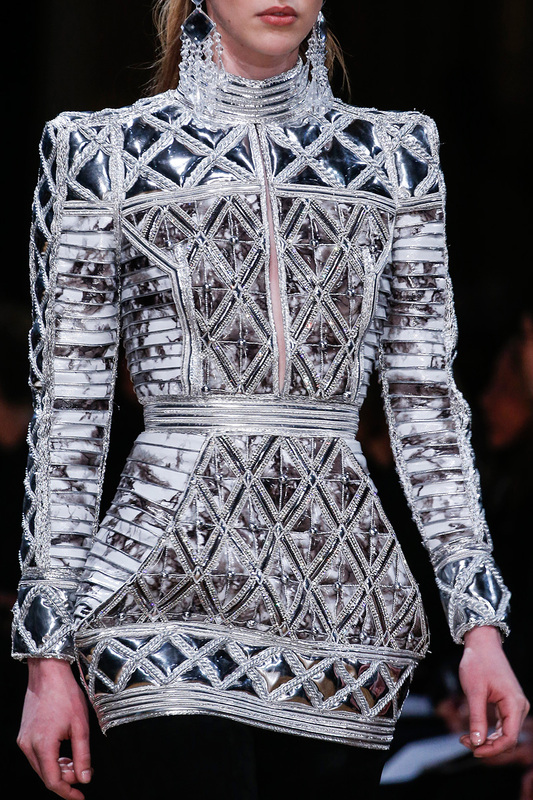 There is something mesmerizing about these distinguished pieces, something magical in their texture, shape, and print. With an eccentric edge and a beautiful singularity, these fashions have the innate capability of speaking out and making their presence noticed. They have this quality of boldness, of extraordinary fearlessness that is impossible to ignore. Nothing is the same. Nothing is common. Everything is a rarity. Everything is a difference. The details of fashion give designs a voice, give them incredible personalities that have never before been reciprocated in such enchanting ways. The details of fashion give designs a strength and energy, give them daring words of communication and wonderful, specialized traits. With detail. the fashions have something they wish to do, something they wish to say. They have characteristics of both brightness and darkness, light-heartedness and passion. They have voices that both shout and whisper, yell and sing. With detail, there is emotion, whether it may be a sadness or a happiness. With detail, there is a divergence, a branching out from what has ever been seen before. 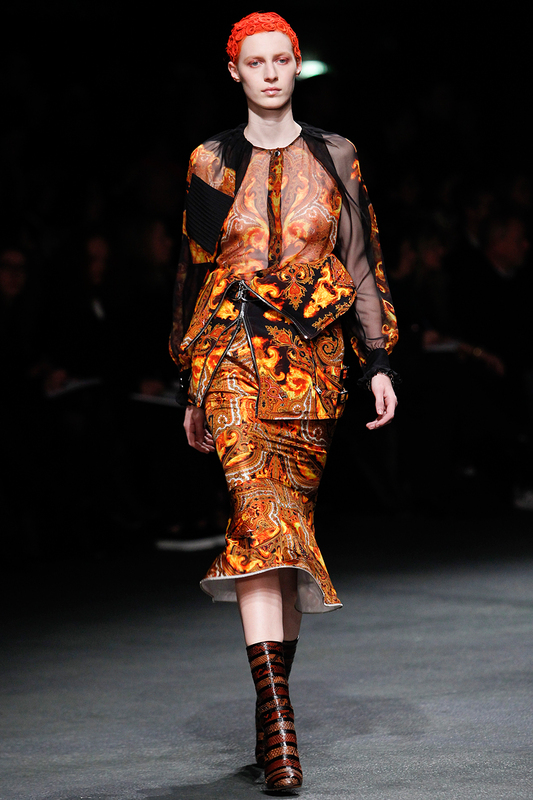 Fashions of detail have an identity and the detailed fashions of the Givenchy Fall 2013 collection emphasize individuality and integrity with a Gypsy culture and a Victorian, romantic grace. 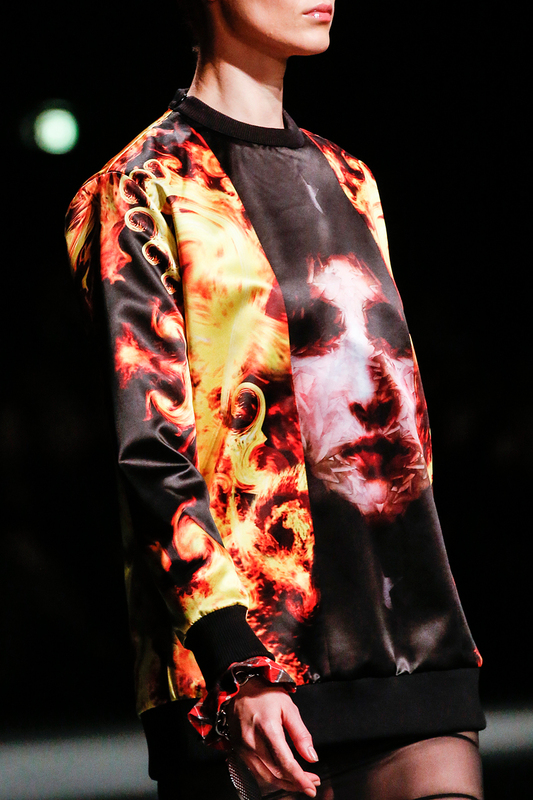 The Givenchy collection is a thrilling unification of formal free-thought and edgy romanticism. It is a collection full of roaming, Bohemian thoughts, as well as steadfast Victorian beliefs. The collection is wonderfully unique in its ability to capture two histories of differing values and combine them into fashions that give rise to so much emotion and desire, give rise to such beauty and understanding. The fashions are individualistic in their praiseworthy details that exhibit such raw, distinctive qualities. 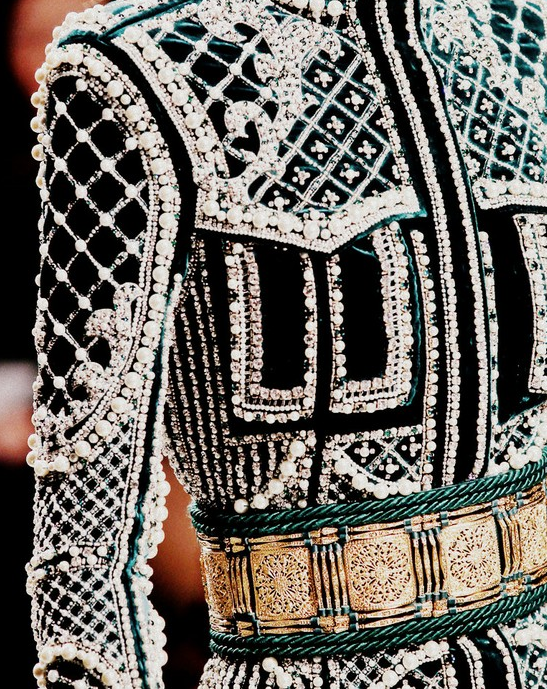 Details that have a fascinating, unmatched substance that is spectacular. The fashions are of their own alluring particularity. Each piece of the collection has its own character, its own story of lively spirit and graceful love. A collection of sheer, velvet, and leather adorned skirts. 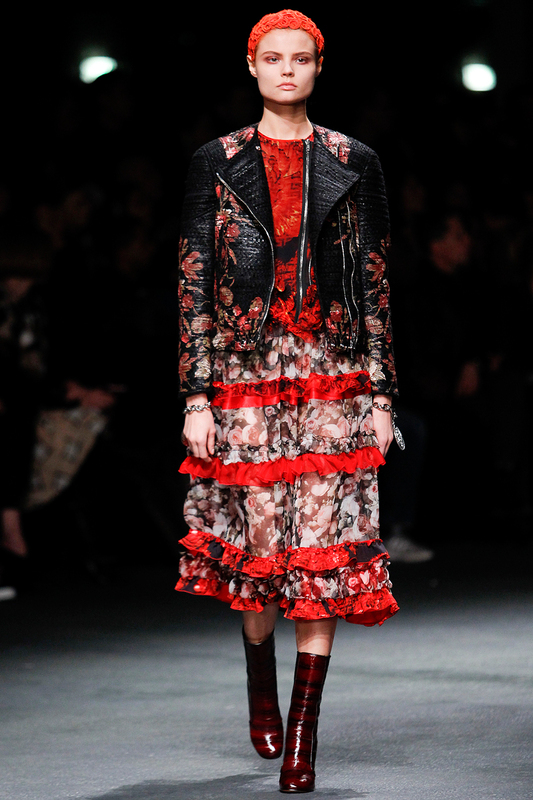 A collection of adventurous motorcycle jackets of leather and flower. A collection of lush fur coats. 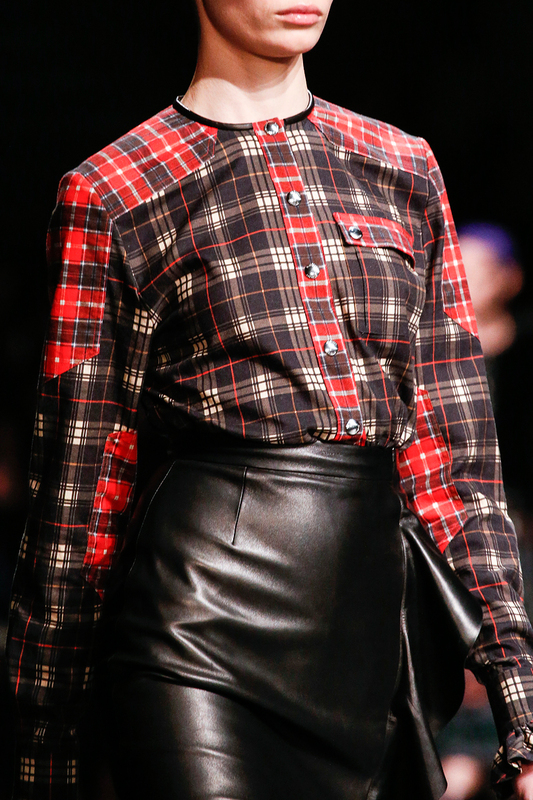 A collection of charming plaid and rose blouses. A collection of long, ruffled skirts of delicacy and fierceness. 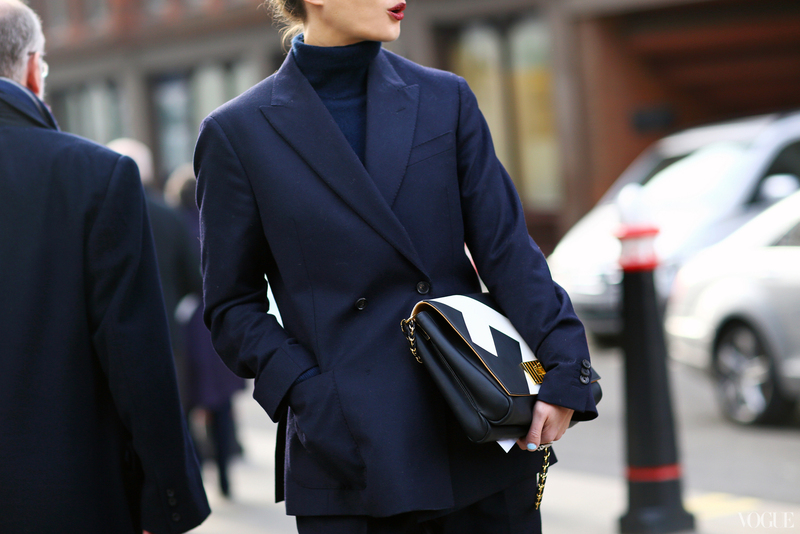 A collection of classic dark pantsuits of sophistication. A collection of redefined, graphic sweatshirts of aesthetic glory, embellished with decorative sequins, polka dots, and both exciting and thought-provoking prints. A collection of fire paisley patterns and romantic rosebuds. A collection of the classic and grunge. At the Hotel Louis Vuitton. 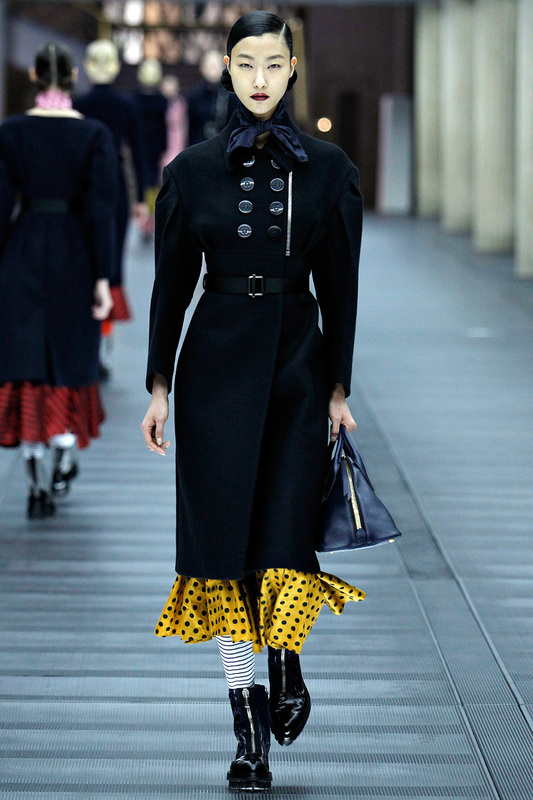 The setting for the Fall 2013 collection of Louis Vuitton only heightens the emotional awakenings felt by the fashions being displayed. 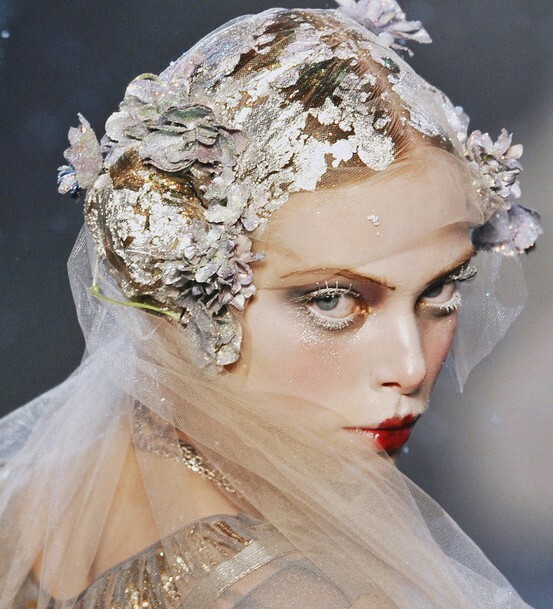 The designs are truly magical, encompassing the beauties of the past, of the ’20s, ’30s, and ’40s. 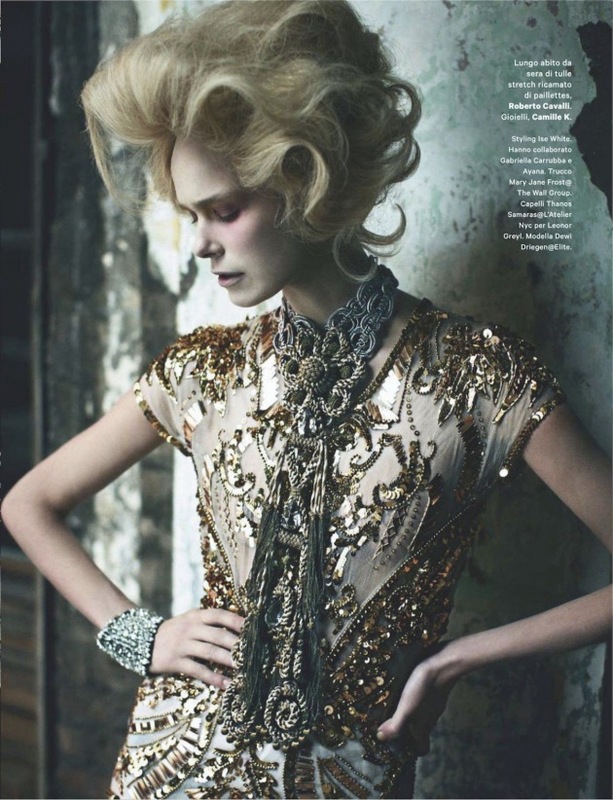 The designs are stunning in their ability to capture rugged realness and tantalizing glamour, revealing boudoir dressings of individuality and alluring grace, giving glimpses into the realities of different lives. The designs are felt in their entirety, beyond the fabrics and encrustations. Viewers are able to take a look back at memories full of both happiness and despair, the wonders of both secrecy and emotion, the universal longings of everyday life. The women who stayed at the Hotel Louis Vuitton always exited their personal lives for a short-time, leaving their rooms to walk the long circular halls with a sumptuous bag in hand. 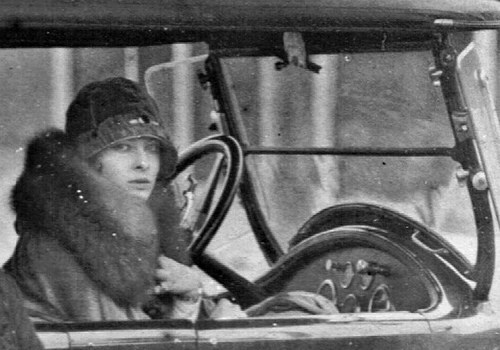 They wore fashions of distinction and adventure, fashions of their continuing, emotionally filled memoirs. They wore fashions of authenticity, of undeniable, beautifully unkempt qualities. They wore fashions of intimate decision, of choices that were made entirely on their own. Whether it be wearing delicate lingerie slips or sensuous, fur-lined robes; whether it be wearing lush velvet gowns of flowered, lace accents or structured, menswear-inspired tailored coats of solid and plaid; whether it be wearing silk pajama sets or deeply cut tops of feathers and sparkles…Marc Jacobs created a collection that speaks directly to the viewer, creating mesmerizing connections. 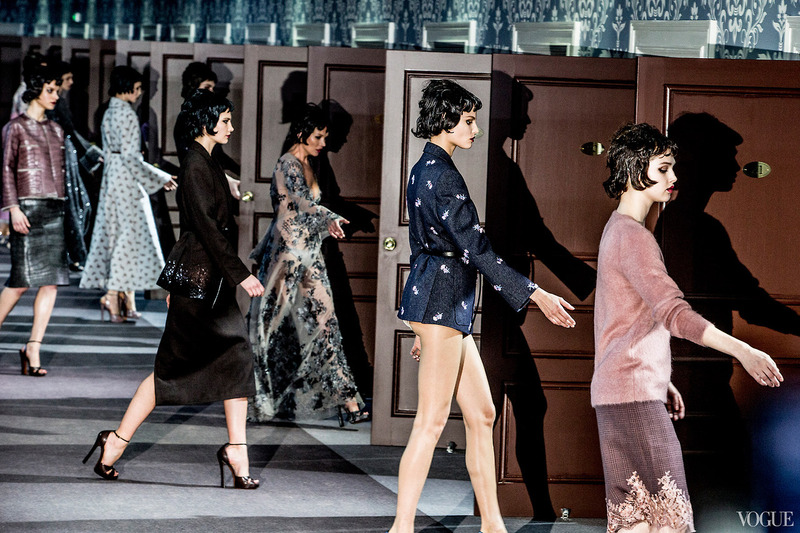 In the end, these women of the Hotel Louis Vuitton always returned to their personal lives, opening those same wooden doors. For a short while, the mysteries and secrecies were out for all to see, radiating out of the many openings of the hall; but then the doors closed, the memories, wonders, and longings of those women kept inside. However, the fashions that they wore, the feelings that these exquisite pieces evoked in the viewer… they will forever be remembered. They will always be cherished. The collections of Dior and Balmain, respectively, took these visions of past and future years and created fashions of psychological and creative liberalism, as well as fashions of metallic, sci-fi glory. 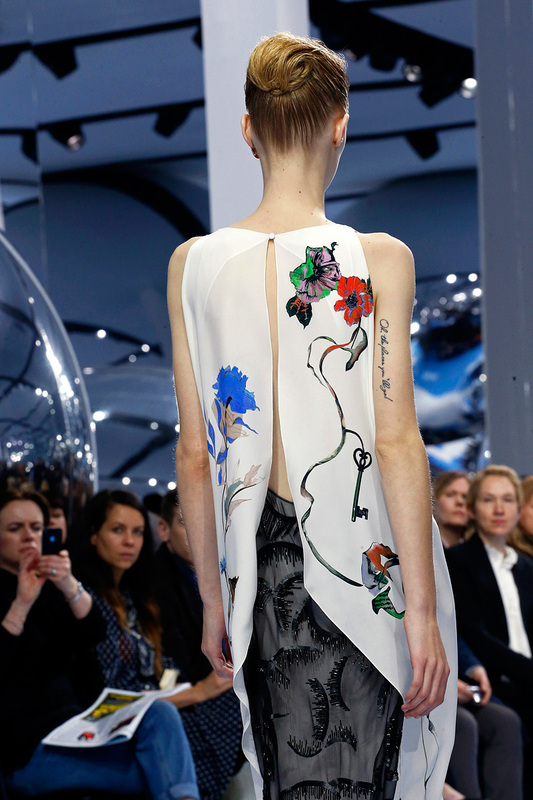 The polar opposite collections unite in a way that is very gratifying, very inspiring, very appeasing to the eye and mind…Raf Simons of Dior allows viewers of the present to reminiscence about past histories and arts, to prosper in a past life that is so divergent from their own. 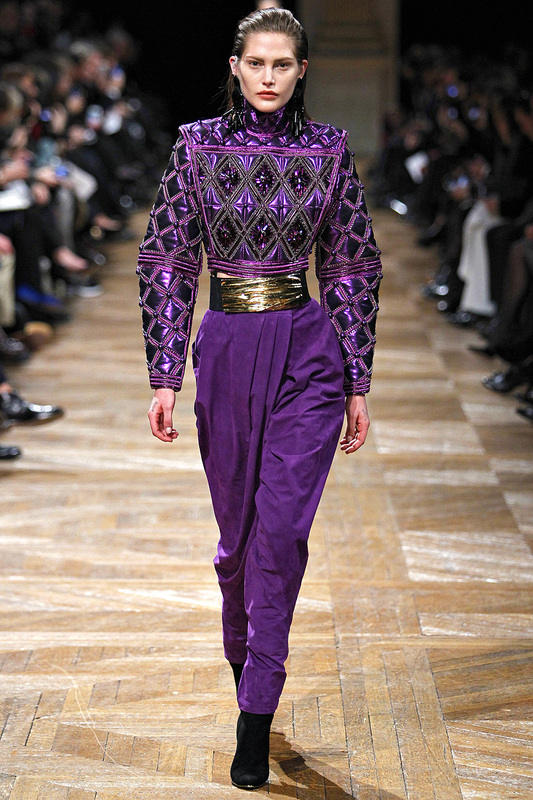 He gives the world, as a whole, the opportunity to travel back in time, to transform its contents shapes, sizes, textures, and designs… Olivier Rousteing of Balmain allows viewers of the present to glimpse into the years that are soon to come. He gives people the opportunity to see future generations, to see new lives appear full of shining empowerment and courageous belief. 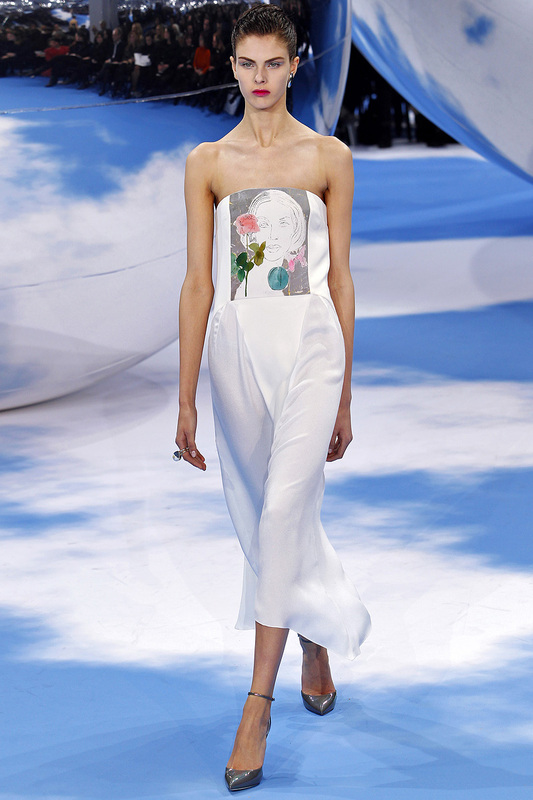 Looking back into the artsy, surrealist, gallerist past of Christian Dior and also looking into his own, eccentric, Pop-art visual inspirations, Raf Simons created a collection that is an infusion of the past. Called a “visual scrapbook” by the house of Dior, the collection gathers the outlooks and memories of both founder and current designer. It incorporates both the surrealist visions of Dalí and the pop-art, graphic senses of Andy Warhol in its pieces. And the result is something magical, something absolutely incredible. There is playfulness and wildness to the designs; there is incomprehension and abstraction. There is an unmistakable sentimentality to the pieces. There are strong emotions and passions rising from the fabrics of the artistic creations. There is a recognition of the masters of years ago, of the artists full of inventive thought and free imagination. 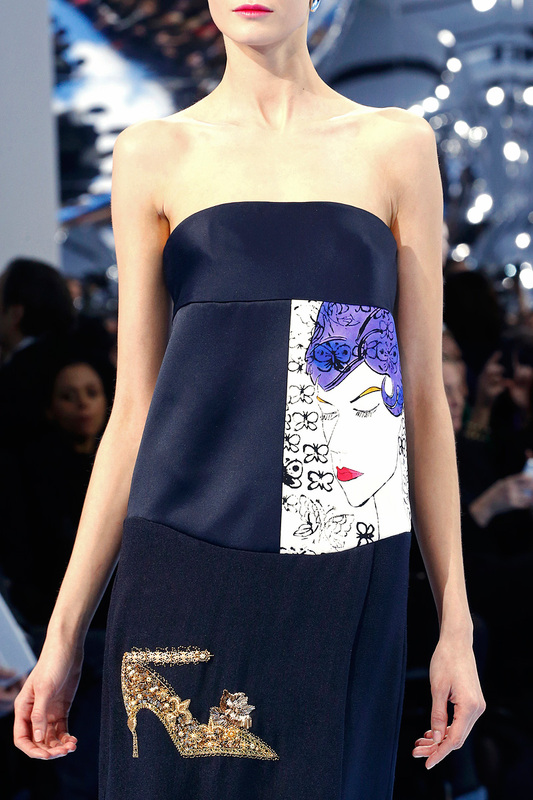 From Warhol’s “Female Head with Stamps” printed on a beautiful navy silk, strapless gown to surrealist, avant-garde peplums of noticeable ruffles; From Warhol’s ethereal “Unidentified Female” decorated with light hues and delicate flowered accents to textured, detailed patterns of imaginative imagery…The Dior Collection for Fall 2013 beautifully reflects the past. 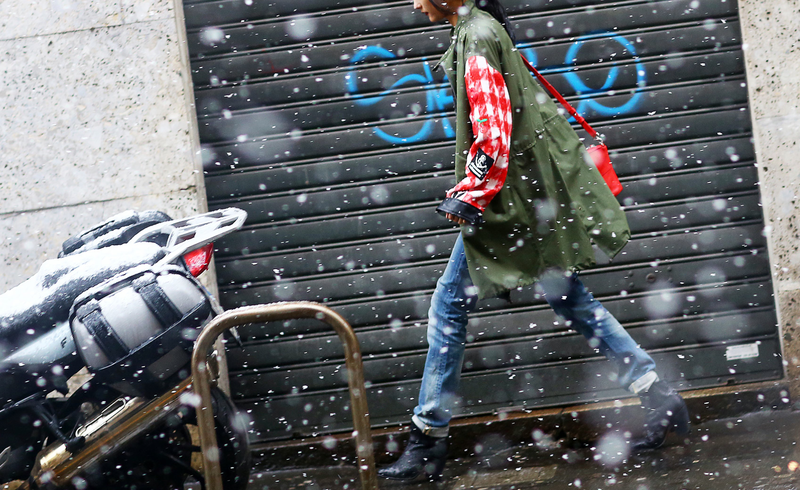 Rousteing’s future is a world full of empowerment and bravery. It is a world where timidity is just a myth and where confidence prevails. 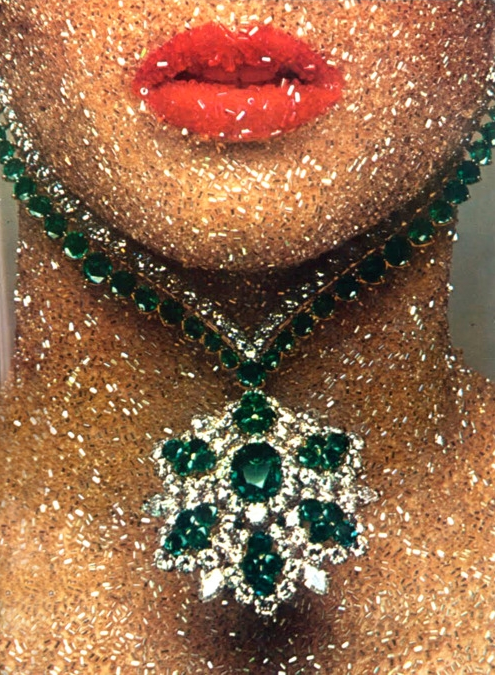 There are glam powers walking the land and dazzling dreams dancing in shining minds. There is a sparkling loudness catching attention and recognition and glitzy thrill glittering the atmosphere. 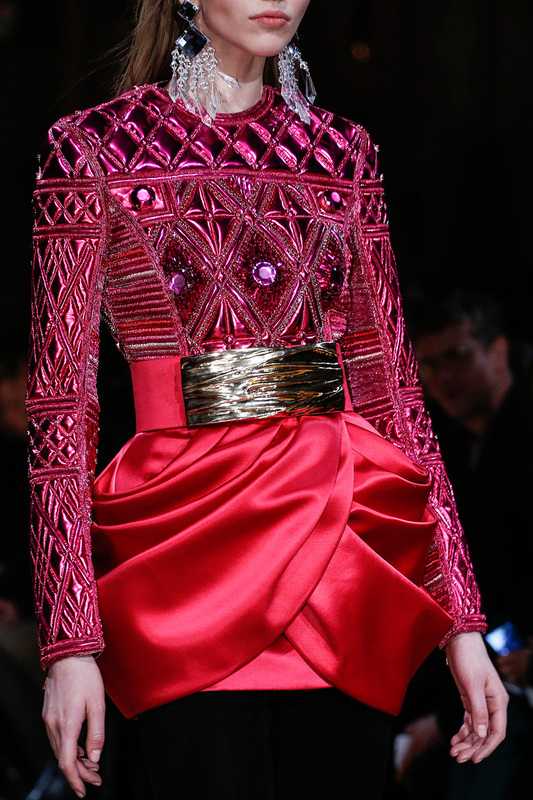 In Rousteing’s future, as proven in his Fall 2013 Balmain Collection, no one is afraid. No one is terrified of standing-out and standing strong. 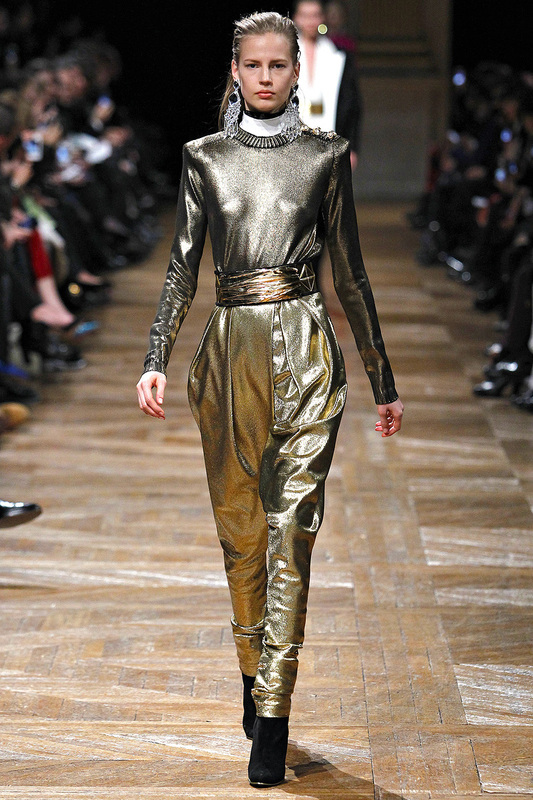 From stunning golden harem pants to powerful, extraordinary shoulder-pads; From ornate, disco embellishments to accentuated, nipped in waists…The Balmain Collection for Fall 2013 wonderfully predicts the future.